Atheism and mental illness is an increasingly important topic of study in light of the growing list of atheist shooters and serial killers. The Telegraph reported: "Patients with a strong “intrinsic faith” (a deep personal belief, not just a social inclination to go to a place of worship) recover 70 per cent faster from depression than those who are not deeply religious." In addition, in many atheistic cultures in the developed world, there are considerable problems with loneliness (see: Atheism and loneliness). Furthermore, many atheists feel isolated within theistic cultures (see: Atheism and social outcasts). The journal article A global perspective in the epidemiology of suicide, published in the academic journal Suicidologi, found that "At 25.6, the total suicide rate is markedly highest in Atheist countries (e.g. China) which included in this analysis countries where religious observances had been prohibited for a long period of time (e.g. Albania)." A psychopath is someone with an anti-social personality disorder characterized by violent, perverted or immoral behavior often leading to criminality. Psychopaths have little or no concern for other people. Some psychopaths equate love with sexual arousal.A few studies have found that there is a positive correlation of atheism and psychopathy (see: Atheism and psychopathy. “ The exploration of the impact of religiosity on mental health is an enduring, if somewhat quiet, tradition. There has been virtually no exploration, however, of the influence of atheism on mental health. I argue that atheism, especially positive atheism, should be treated as a meaningful sociocultural variable in the study of mental health. I argue that atheism (just like theism) is an appropriate domain of study for social and cultural psychiatrists (and allied social scientists) interested in exploring socio-environmental stressors and buffers relating to mental health. Specifically, I argue that (1) atheism needs to be accurately measured as an individual-level exposure variable, with the aim of relating that variable to psychiatric outcomes, (2) there needs to be greater systematic investigation into the influence of atheism on psychiatry as an institution, and (3) the relation of atheism to mental health needs to be explored by examining atheistic theory and its practical application, especially as it relates to the human condition, suffering, and concepts of personhood. At the atheist conference Skepticon 7, Dr. Melanie Brewster (who is an atheist herself) gave a talk entitled Why is Psychology Silent When it Comes to Atheism? in which she indicated that significant resources have not been devoted to studying the issue atheism and mental health (especially when compared to the effects of religion upon mental health) Dr. Brewster said there is a unofficial taboo among psychologists about psychologists studying the effect of atheism upon individuals. In America Brewster attributed part of this taboo is related to negative views that Americans have toward atheists (see: Views on atheists and Distrust of atheists). ↑ Mueller, Dr. Paul S. et al. (December 2001). "Religious involvement, spirituality, and medicine: implications for clinical practice". 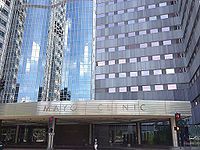 Mayo Clinic Proceedings vol. 76:12, pp. 1225-1235. Retrieved from Mayo Clinic Proceedings website on July 20, 2014. ↑ José Maoel Bertolote, Alexandra Fleischmann (2002). "A global perspective in the epidemiology of suicide". Suicidologi 7 (2). https://www.iasp.info/pdf/papers/Bertolote.pdf. ↑ Robert D. Hare (2011). Without Conscience: The Disturbing World of the Psychopaths Among Us. Guilford Press, 52. ISBN 978-16062-35782. This page was last modified on 9 April 2019, at 00:20. This page has been accessed 3,711 times.